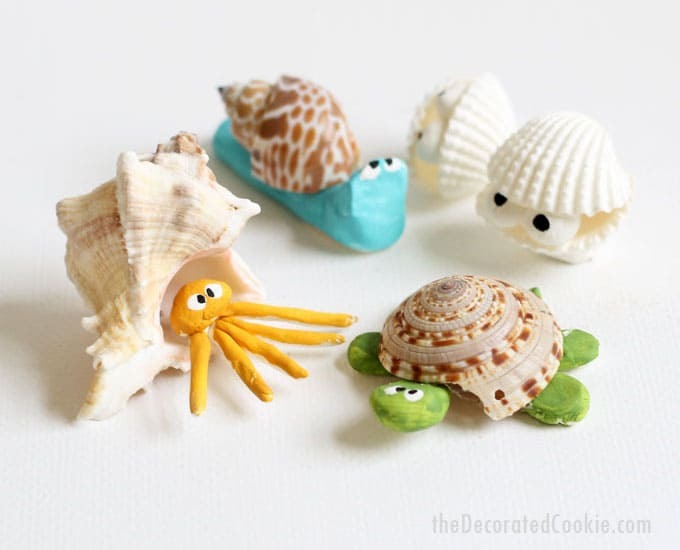 Use air-dry clay, shells, and paint to make these cute seashell creatures. 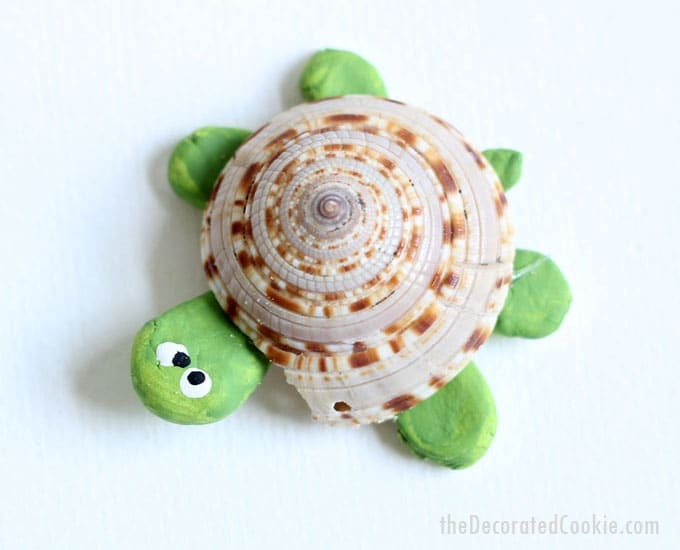 A great summer shell craft for kids or grown-ups. 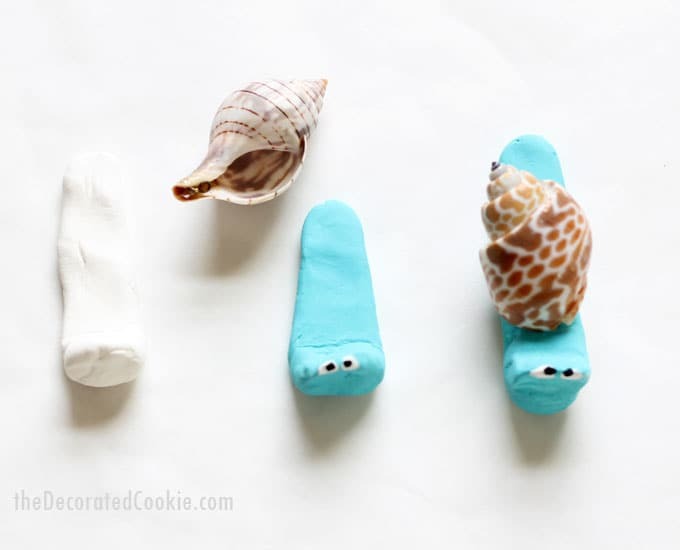 If you collected a few too many shells from beach visits this summer, these seashell creatures are a cute and easy seashell craft you and/or the kids can do. Create any of the creatures here, or come up with your own. Set a scene in a large, glass jar for a more permanent display. 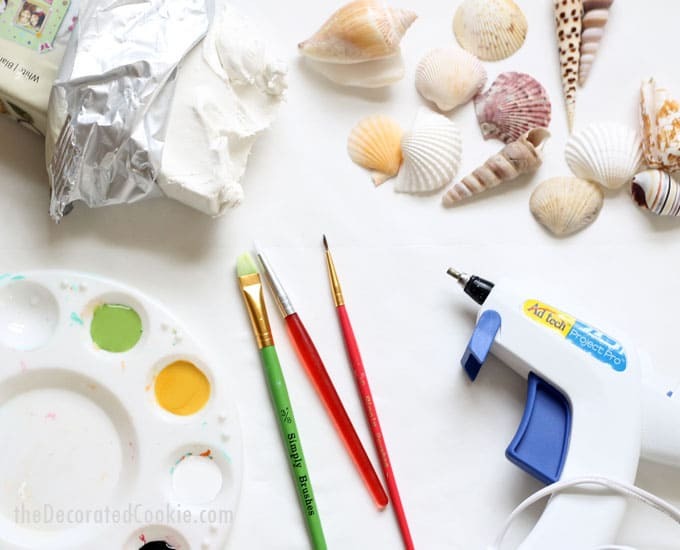 You’ll need shells, air-dry clay, paint, glue, and your imagination. That’s it! 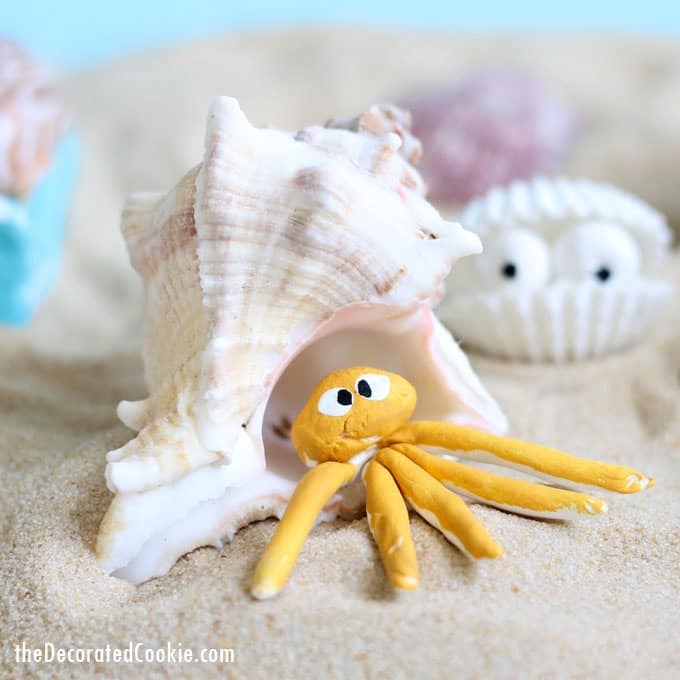 You can also make these seashell creatures as decor for a beach-themed party. 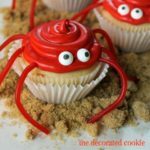 Need some sweets too? 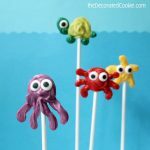 Make sea creature candy pops or make shells from candy clay. 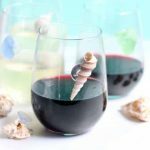 For more perfect shells than you may find on the beach (or, if your travel plans don’t include the seaside), you can purchase shells from the craft store. And the bonus of store-bought shells? No need to clean them. 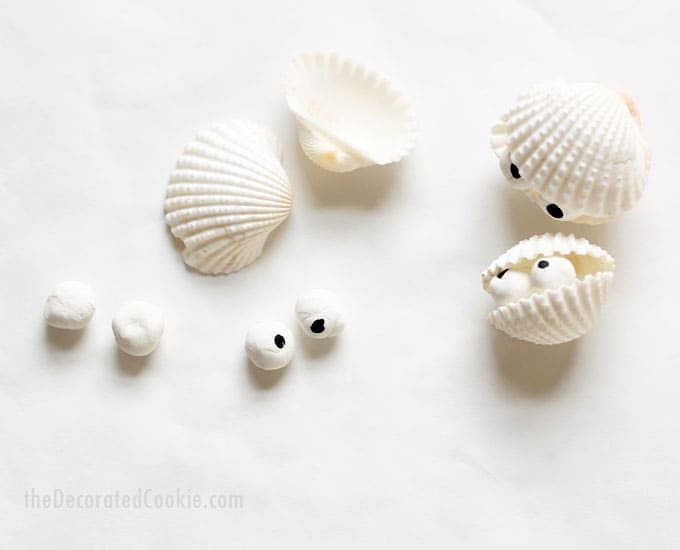 Air-dry, white clay is so user-friendly and easy to use, but keep in mind the clay shapes do have to dry overnight before painting and assembling with the shells, so add that time into your plans. If kids will be working with the glue, they may want to use regular glue instead of hot glue, but it will take longer to set. I like to keep the shells in their original state, unpainted, but you can paint the shells, too, for a different look. Plan each creature first. Sketch designs and play around with the clay and shells to come up with creatures. 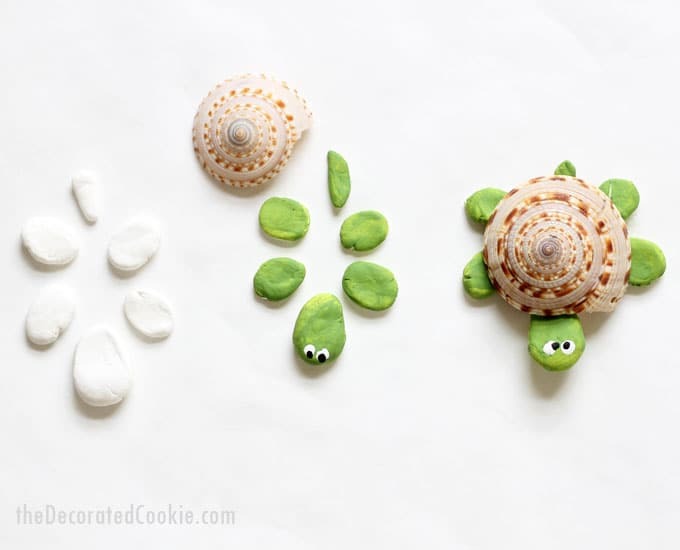 Roll, pinch, and shape the air-dry clay into the necessary parts of the creatures to hold the shells. Let dry overnight. Paint the clay parts desired colors, adding googly eyes with white and black dots of paint. Let dry. 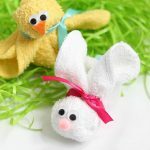 Assemble the creatures with hot glue. 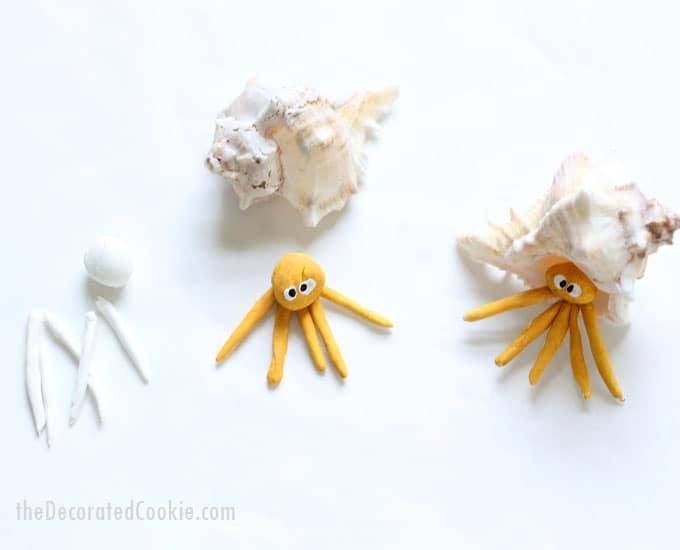 These seashell creatures are cute, easy to make, and a great reminder of days at the beach. 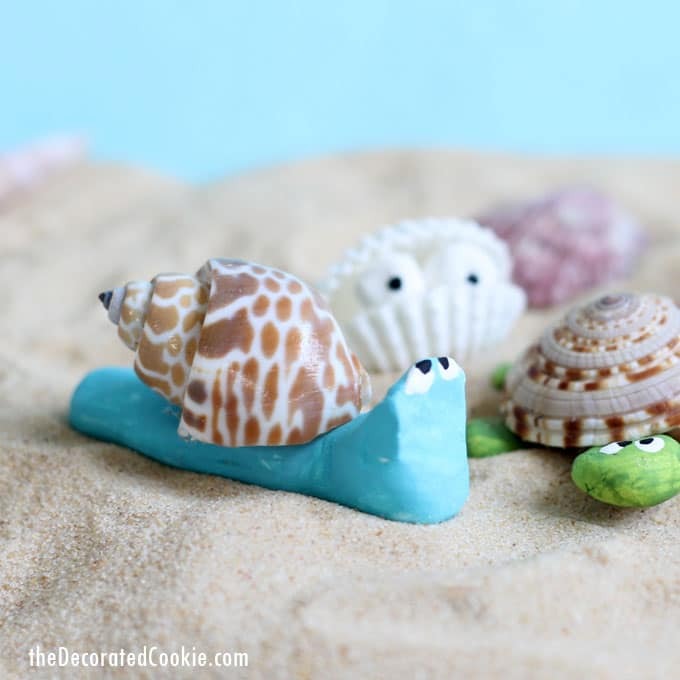 This post for sea shell creatures also appears on Crafts by Amanda.